Find a TAS Certified Field Site Near You! 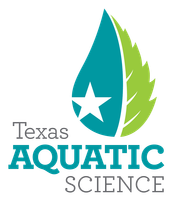 Texas Parks and Wildlife is partnering with Texas State University and the Meadows Center for Water and the environment to pilot Texas Aquatic Science in 39 schools across the state serving nearly 4,500 students for school year 2015-2016. Pilot schools have agreed to widely use the student portal and teacher guide to fully explore the curriculum and report evaluation data back to Texas State University. Participating teachers have received a 4 hour workshop and have been encouraged to seek out their local park, zoo, aquarium, nature center, museum, etc. as an opportunity to partner in their students’ learning.